Thats all. Game finished - Shakhtar Donetsk 2, Eintracht Frankfurt 2. Second Half ended - Shakhtar Donetsk 2, Eintracht Frankfurt 2. Corner - Eintracht Frankfurt. Conceded by Sergiy Bolbat. Corner - Eintracht Frankfurt. Conceded by Maksim Malyshev. Corner - Eintracht Frankfurt. Conceded by Ismaily. Jonathan de Guzmán - Eintracht Frankfurt - won a free kick in attack. Corner - Eintracht Frankfurt. Conceded by Bogdan Butko. Substitution - Shakhtar Donetsk. Sergiy Bolbat for Moraes. Missed chance. Danny da Costa - Eintracht Frankfurt - shot with right foot from the centre of the box is close, but missed to the left. Assist - Jetro Willems with a cross. Delay in match Moraes - Shakhtar Donetsk - - injury. Delay in match Bogdan Butko - Shakhtar Donetsk - - injury. Missed chance. Filip Kostic - Eintracht Frankfurt - shot with left foot from the left side of the box is high and wide to the left. Assist - Jonathan de Guzmán with a cross. Mijat Gacinovic - Eintracht Frankfurt - receive yellow card for a foul. Taison - Shakhtar Donetsk - won a free kick in defence. Missed chance. Martin Hinteregger - Eintracht Frankfurt - header inside of six yard box - left side goes high. Assist - Mijat Gacinovic with a cross after corner. Substitution - Eintracht Frankfurt. Jonathan de Guzmán for Gelson Fernandes. Corner - Eintracht Frankfurt. Conceded by Davit Khotcholava. Substitution - Shakhtar Donetsk. Maksim Malyshev for Viktor Kovalenko. Moraes - Shakhtar Donetsk - won a free kick on the left wing. Missed chance. Martin Hinteregger - Eintracht Frankfurt - shot with the head from the centre of the box is close, but missed to the left. Assist - Jetro Willems with a cross after corner. Corner - Eintracht Frankfurt. Conceded by Moraes. Shot blocked. Jetro Willems - Eintracht Frankfurt - shot with left foot from outside the box is blocked. Assist - Ante Rebic. Sergey Krivtsov - Shakhtar Donetsk - receive yellow card for a foul. Martin Hinteregger - Eintracht Frankfurt - won a free kick in defence. Missed chance. Luka Jovic - Eintracht Frankfurt - shot with right foot from the centre of the box goes high. Assist - Ante Rebic following a fast break. Shot blocked. Alan Patrick - Shakhtar Donetsk - shot with left foot from outside the box is blocked. Assist - Ismaily. Substitution - Shakhtar Donetsk. Manor Solomon for Marlos. Goal! 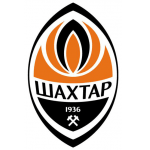 Shakhtar Donetsk 2, Eintracht Frankfurt 2. Taison - Shakhtar Donetsk - shot with right foot from the centre of the box to the right corner. Assist - Moraes with a through ball. Offside - Eintracht Frankfurt. Mijat Gacinovic with a pass, however Danny da Costa is in offside. Taison - Shakhtar Donetsk - won a free kick on the left wing. Alan Patrick - Shakhtar Donetsk - won a free kick in attack. New attacking attempt. Ismaily - Shakhtar Donetsk - shot with left foot from the left side of the box is saved by goalkeeper in the centre of the goal. Assist - Taison. Missed chance. Luka Jovic - Eintracht Frankfurt - shot with the head from the centre of the box missed to the left. Assist - Filip Kostic with a cross. Missed chance. Luka Jovic - Eintracht Frankfurt - shot with right foot from outside the box goes high. Assist - Evan Ndicka after corner. Corner - Eintracht Frankfurt. Conceded by Andriy Pyatov. New attacking attempt. Ante Rebic - Eintracht Frankfurt - shot with right foot from outside the box is saved in the top right corner. Marlos - Shakhtar Donetsk - won a free kick in defence. Jetro Willems - Eintracht Frankfurt - won a free kick in defence. Missed chance. Filip Kostic - Eintracht Frankfurt - shot with left foot from outside the box is close, but missed to the left. Assist - Jetro Willems after corner. Goal! Shakhtar Donetsk 1, Eintracht Frankfurt 2. Filip Kostic - Eintracht Frankfurt - shot with left foot from the centre of the box to the centre of the goal. Assist - Luka Jovic with a cross. 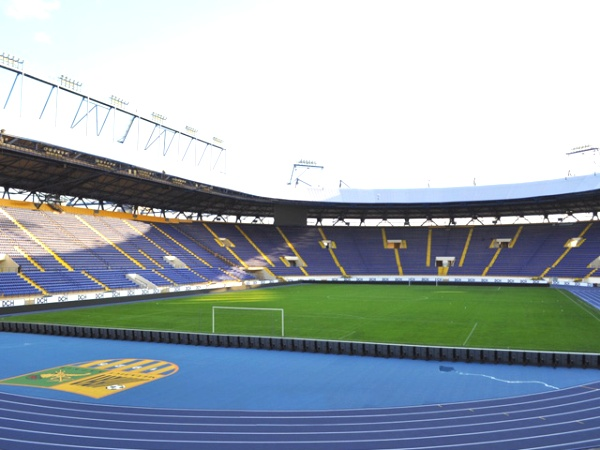 Corner - Shakhtar Donetsk. Conceded by Martin Hinteregger. Missed chance. Filip Kostic - Eintracht Frankfurt - shot with left foot inside of six yard box - left side missed. Assist - Luka Jovic with a cross. Substitution - Eintracht Frankfurt. Jetro Willems for Sebastian Rode. Second Half starts Shakhtar Donetsk 1, Eintracht Frankfurt 1. First Half ended - Shakhtar Donetsk 1, Eintracht Frankfurt 1. Moraes - Shakhtar Donetsk - won a free kick in attack. Shot blocked. Filip Kostic - Eintracht Frankfurt - shot with left foot from outside the box is blocked. Assist - Mijat Gacinovic. Corner - Eintracht Frankfurt. Conceded by Sergey Krivtsov. New attacking attempt. Mijat Gacinovic - Eintracht Frankfurt - shot with left foot from outside the box is saved in the top centre of the goal. Assist - Danny da Costa. New attacking attempt. Luka Jovic - Eintracht Frankfurt - shot with the head from the centre of the box is saved by goalkeeper in the centre of the goal. Assist - Filip Kostic with a cross. Bogdan Butko - Shakhtar Donetsk - won a free kick in defence. Missed chance. Ante Rebic - Eintracht Frankfurt - shot with left foot from the left side of the box is close, but missed to the left. Assist - Luka Jovic. Missed chance. Luka Jovic - Eintracht Frankfurt - shot with left foot from the right side of the box is very close to the goal. Assist - Mijat Gacinovic following a fast break. Gelson Fernandes - Eintracht Frankfurt - receive yellow card for a foul. Moraes - Shakhtar Donetsk - won a free kick on the right wing. Missed chance. Filip Kostic - Eintracht Frankfurt - shot with left foot from outside the box is very close to the goal from a free kick. Delay in match Sebastian Rode - Eintracht Frankfurt - - injury. Second yellow card to Taras Stepanenko - Shakhtar Donetsk - for a foul. Sebastian Rode - Eintracht Frankfurt - won a free kick in attack. Goal! Shakhtar Donetsk 1, Eintracht Frankfurt 1. Marlos - Shakhtar Donetsk - converts the penalty with a shot with left foot to the right corner. Penalty conceded by Evan Ndicka - Eintracht Frankfurt - after a foul in the penalty area. Penalty Shakhtar Donetsk. Moraes draws a foul in the penalty area. New attacking attempt. Marlos - Shakhtar Donetsk - shot with right foot from the centre of the box is saved in the top centre of the goal. Assist - Moraes. Goal! 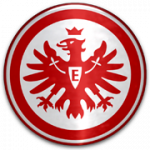 Shakhtar Donetsk 0, Eintracht Frankfurt 1. Martin Hinteregger - Eintracht Frankfurt - shot with the head from the right side of the six yard box to the right corner. Assist - Sebastian Rode with a cross . Taras Stepanenko - Shakhtar Donetsk - receive yellow card for a foul. Ante Rebic - Eintracht Frankfurt - won a free kick on the left wing. Taras Stepanenko - Shakhtar Donetsk - won a free kick in defence. Missed chance. Mijat Gacinovic - Eintracht Frankfurt - shot with left foot from outside the box missed. Assist - Filip Kostic.